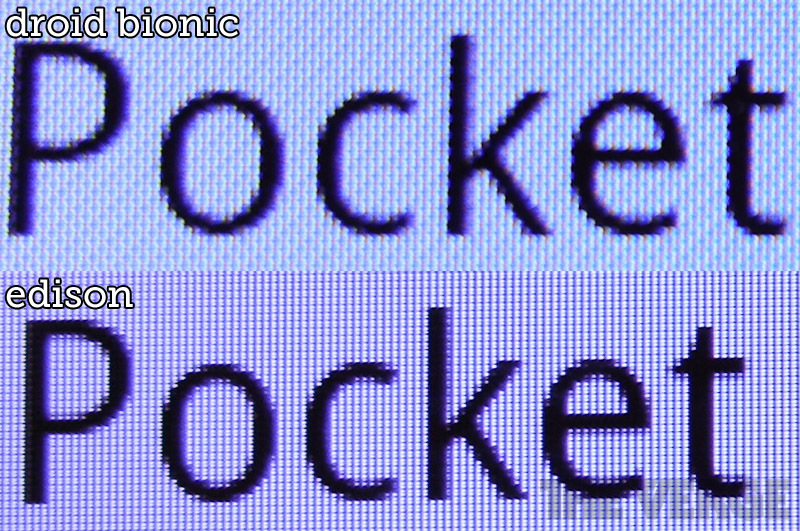 The folks over at This is my next got a hold of the Motorola Edison (aka the Atrix 2) today and took a macro shot of its screen because at first glance it appeared much more crisp and clear than that of the DROID Bionic. There is a reason for that – it’s different screen technology. Well, they are both LCD screens to our knowledge, but the one in the new Atrix looks just like what we saw from the original DROIDX as well as the LCD you see on the iPhone 4 – which is the farthest thing from a PenTile matrix display. This image that we took of the DROIDX2 vs. the DROIDX compares this as well. I’m not sure I have been this excited about the screen on a phone that I will never own, in my life. 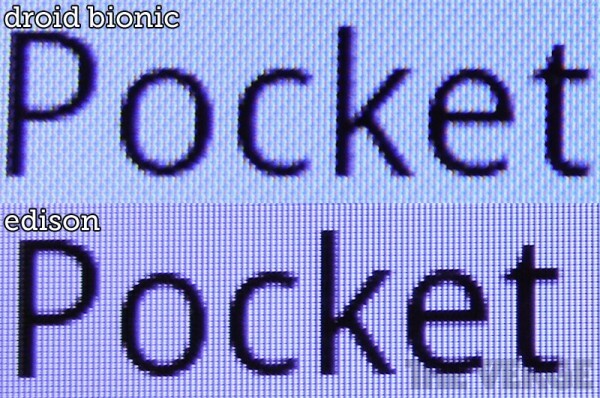 *Note – By the way, in my review I was pretty clear that I’m more a fan of the Bionic’s screen than any other PenTile screen I’ve seen. It’s really not that bad at times. With that said though, Motorola chose to use those screens to yes help on battery life, but also because they are cheap or at least less expensive than other screen technology. So this is a good sign. It either means they aren’t as worried about battery life and have figured something out with their processors or they just want you to have higher quality screens. This is a major step back in the right direction.